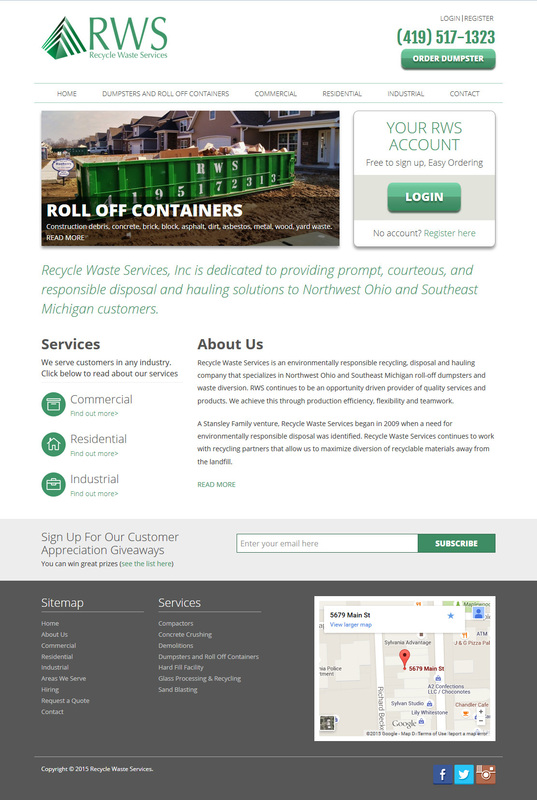 A Toledo Recycling company, specializing in roll-off containers needed a redesigned website to promote growth and online exposure. The company wanted to stick with their current logo yet with a more corporate rebranding. 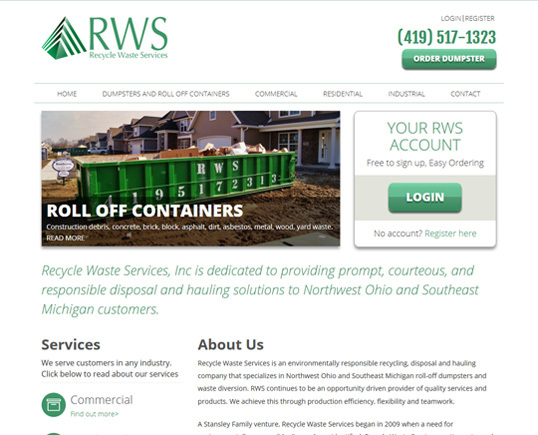 The new design is clean and easier to navigate – with multiple access points to critical information. We also developed a custom roll-off container request form that would use location services to collect the customer’s address. Using the WordPress CMS, the client is able to login to the backend of the site and edit all of the content and menus through a simple and easy interface. Using WordPress also allows the client to quickly and easily create new web pages to promote SEO efforts.